This project consisted of the new construction of a 20,000 sq. ft. fire station to serve the citizens of Grattan Township in Belding, Michigan. The new facility allowed for a new kitchen and lounge area, expanded restroom facilities, training room and supports a generator that can be used by area citizen's in the event of a disaster or power outage. 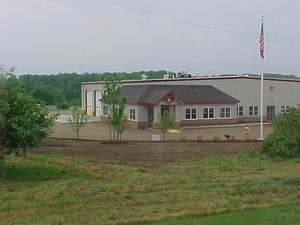 Driesenga & Associates, Inc. provided construction materials testing and inspection services. Driesenga & Associates, Inc. provided construction staking.